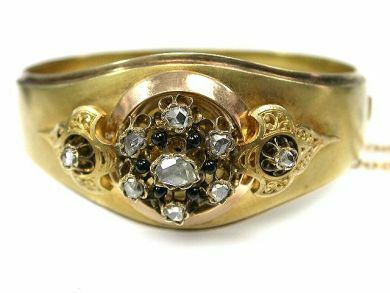 One Victorian 14 karat yellow gold floral motif hinged bangle set with one rose cut diamond (0.17 carats: SI clarity: H colour). Eight rose cut diamonds (0.32 carats: SI clarity: H colour). Six round onyx beads.